Livefood jellies to prolong the life of the insects. 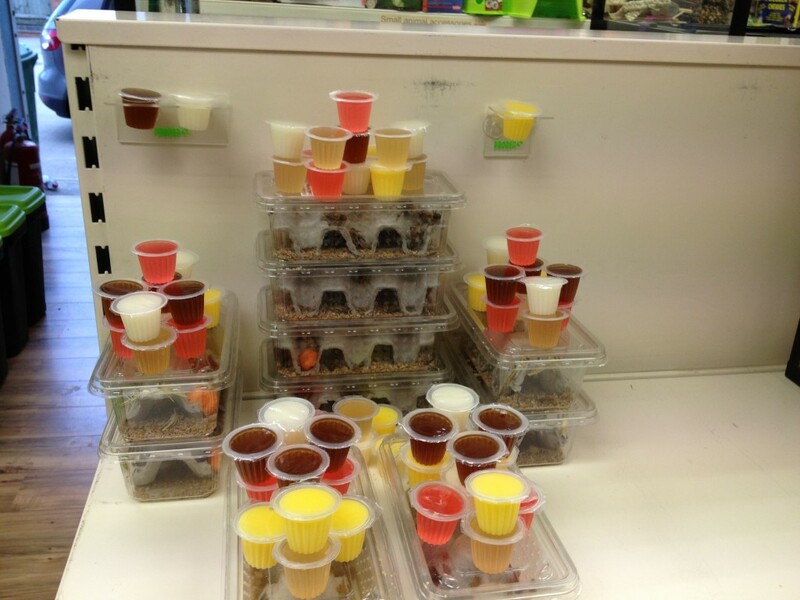 These convenient jelly pots can be fed to livefood or directly to reptiles. Either way your lizard is getting the full benefit of these nutritious feeding solutions. The pots can be used with the single or double holders to mount inside a glass vivarium to feed geckos or inside livefood keepers, Alternatively just invert the egg carton in a box of livefood and they fit snugly and provide an excellent food and water source greatly extending the life of the insects. The pots sell for 99p each or 50p each when purchased with a box of livefood and come in five different flavours. The protein gel pot is best for keeping livefood alive over an extended period and will allow them to grow. Just ask at the till when you next purchase your livefood. James Wellbeloved cat food and Royal Canin cat pouches 1/2 price until the end of June, whilst stocks last. 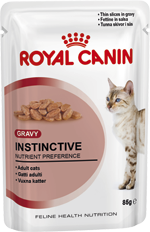 All Royal Canin cat pouches are on offer at 50% off. 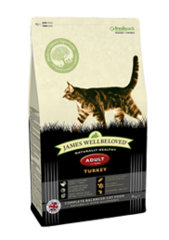 We also have the following James Wellbeloved cry cat food bags at 1/2 price whilst stocks last. Grab your bargain Royal Canin or James Wellbeloved cat food whilst you can. George went to South Africa with his university in April this year. SInce he got back a lot of customers have asked what he was doing out there. Below is his presentation on the study trip. He did a lot of other “fun” stuff like visit a cheetah sanctuary but this was the “work” part of the trip. His presentation was on the rationale of burning regimes on the reserve of Mankwe: why burning is done, why it is effective, what it acheives etc. Does the time of day affect the diversity of grazing species across different burn years? Prescribed burning is a method used by game ranches to manage their grassland. Burning disposes of dead grass as shown in a study by Trollope in 2004 where it is proven that burning is an effective way of removing unacceptable grass material and controlling/preventing the encroachment of undesirable plants. Burning regimes and large mammal populations can affect the carrying capacity of a reserve. The carrying capacity is defined by Bothma, 1989 as the maximum population of animals an area can support without deterioration to the habitat. A study by Bird et al, 2005 shows that good burning regimes will affect the veld condition and thus the utilisation of the veld by the animals. A veld is an area of grassland in Africa and is another name for a field. 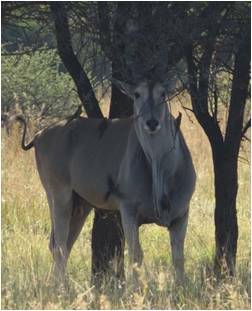 If the veld is poorly managed then the animals will begin to overgraze areas which leads to a lack of resources, and, in turn lowers the carrying capacity. 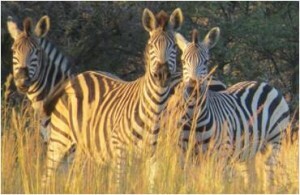 A game reserve will need to be able to accurately estimate the numbers of animals within the reserve to determine whether carrying capacity is exceeded or not. To do this line transects can be used to estimate the population within the area. Strip transects may also be used however these tend to have more observer bias than line transects according to (Ogutu, 2005). 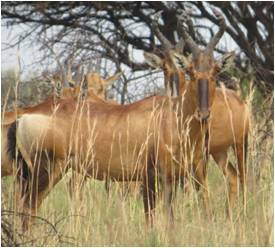 MacTavish, 2013 stated that animals that have the greatest effect on carrying capacity are the grazers, this is because they can cause overgrazing leading to soil erosion and bush encroachment. 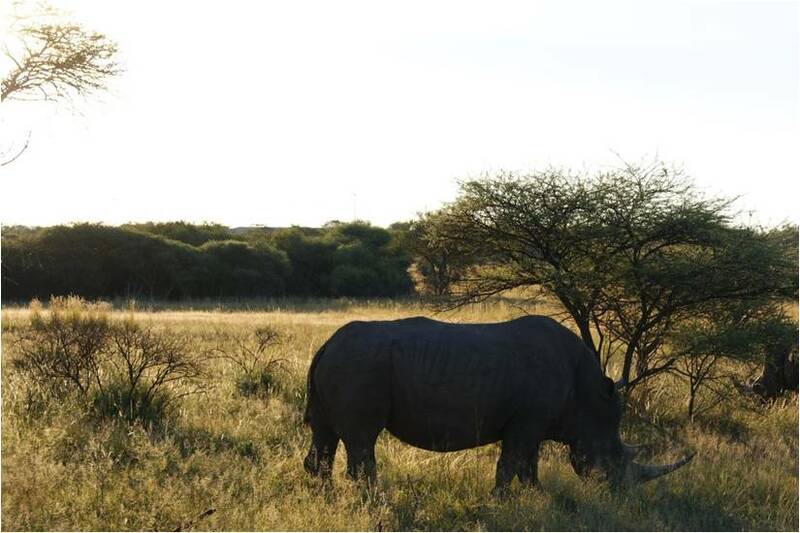 He also stated that there are three main types of grazers found on game reserves and these are bulk grazers (species like white rhino, wildebeest, and zebra), mixed feeders (species such as impala and eland) and specialised feeders (species such as reedbuck and warthog). 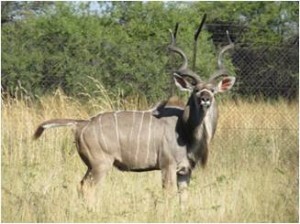 Other large mammals such as kudu will fall into the strict browsers category. Therefore to evaluate the carrying capacity and predict the areas of overgrazing due to population movements, large mammal line transects should be used. Driven transects differ from walked transects as the cover much more ground in the same period of time. This study will enable game ranches to better determine how the time of day effects the grazing patterns of the animals within it. An animal’s location can be manipulated through the burning regime as shown by a study by Bird et al (2005), however a study by Delagarde et al in (2000) showed that time of day may affect this further due to the plants composition of soluble carbohydrates. A study by Archibald et al in (2005) shows that grazing species move towards recently burned areas and their abundance is between 2 and 6 times more than that of their control areas. They also show that other areas are also consequently not grazed, which gives these areas a resting period. This allows burning regimes to be designed to maximise carrying capacity by limit overgrazing and the damage to the habitat. It also helps reserves better understand where the next over grazed area may be, as supported by Trollope, 1990. Bothma, 1989 states that burning regimes are necessary as the smaller the area being used for wildlife, the more intensively it must be managed. Trollope, 1990 supports this by saying natural rotational grazing, for example migrations, cannot occur due to the areas being too small. 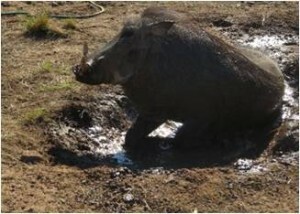 Therefore using techniques such as grass surveys alongside techniques like those carried out in this study, the effectiveness of burning regimes can be assessed and improved by understanding the animals utilisation of areas. 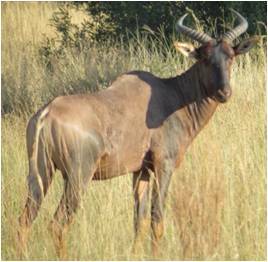 Understanding the utilisation of grassland depending on time of day will help game ranches better manage the manipulation of population location, whether it be for anti poaching methods, resting areas of veld or to better increase the nutritional value of the veld within the reserve and in turn improving carrying capacity. It is possible that there is a higher diversity of animals on the newer burns in the evening to take advantage of the fresh vegetation of new burns and high sugar contents within the grasses as suggested by Delegrade, 2000. Firstly the transect routes were selected. Transect 1 took place on the 17th April at 4:50pm-6:15pm. It started at the North end of Zebra drive and came South to join up with centre road to then follow zebra drive back North. The second half of the transect then started at the North end of Eland drive and drove South until we met Kgokong road. Transect 1 differs from transect 2 3 and 4 as the 2010 burn section from the north end of eland drive, coming south was all thicket so it was difficult to spot wildlife. Also the first section of the transect meant driving back on Zebra drive meaning that the wildlife could have been scared away on our first pass or double counted. Transect 2 started at 7:17 am and finished at 9:20am. It started on the East side of centre road and then met Zebra drive and headed North to meet perimeter road. The second section started at the north end of the east perimeter road and headed south until we met the 2012 burn. Transect 3 followed the same route but started at $:09pm and ended at 6:01pm. Transect 4 was the same route as transect 2 and 3 however it was carried out in reverse. It started at 7:17am and finished at 9:09am. It was carried out in reverse to be able to get a better representation of results. This is because animals that may have been present on the burn for example here on the 2010 at the start of the transect but were not actually seen when recording took place. One scribe was present to record the data and four spotters were present. However group numbers changed between drives meaning more spotters were sometimes present. There was also a driver who also acted as a spotter along with a member of staff, both of which changed between drives 1-2 and 3-4. All spotters used binoculars to identify the animals. Once the selected route was reached the odometer reading on the car was reset and a start GPS co-ordinate was taken. The selected route was then driven, when an animal was spotted the vehicle was stopped and recordings were taken. Recordings included the odometer reading along the transect, the angle the animals were from the transect line (this was measured using a compass), the distance they were from the vehicle (measured using a rangefinder), the number of individuals and the species present (The species we were recording we all those who have an effect on the carrying capacity, so that is all the types of feeders mentioned previously, along with ostriches although they are not mammals they also graze and effect the veld condition), the time they were observed (to the nearest minute) and the burn year they were observed in. The total distance travelled on each burn was recorded for each transect to standardise the distance travelled. Any animals spotted after 3km on any burn were not counted, this is due to 3km being the limiting distance on the 2009 burn. The data that is collected will be analysed using Simpsons index to measure the diversity in each burn on each transect. 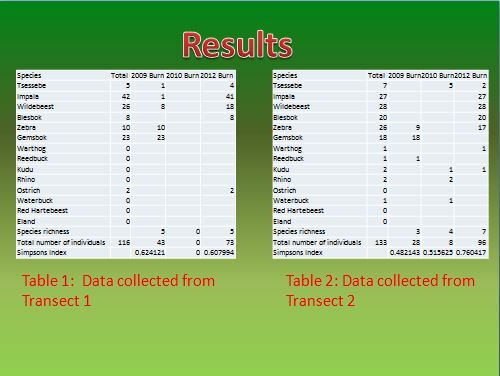 Our results from each transect were put into tables to be able to analyse the diversity of each burn. This bar chart compares the Simpsons index of all burn years across all transects. Drive 1 and 3 took place in the afternoons and drive 2 and 4 took place in the mornings. Results show that generally areas are more diverse in the mornings and that on average the 2012 burn was more diverse than any other burn. No data was collected on drive 1 for 2010 burn as this was the thicket patch where no animals could be observed which would indicate why 2010 appears to have the lowest diversity overall. It could be argued that these results show that time of day does affect species diversity and that the newer burns are of preference. My results show that time of day does affect species diversity across different burn years with the highest diversity being in the morning. This is opposite to what was expected as it was hypothesised that there was to be more diversity in the evening when the grass has the higher soluble carbohydrate level. However a study by Watts and Pollitt, 2010 has shown that almost all of the African grasses tend to be higher in sugars and starches than other grasses from across the world. Therefore it could be argued that due to the naturally higher sugar levels in African grasses, the grazing animals do not need the extra sugar found in the evenings so graze in the mornings to eat before the competition eats all the grass. 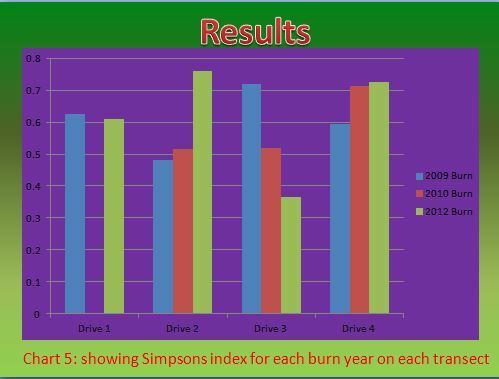 The 2012 burn has the highest diversity on average and on each morning drive it was the highest. This supports the research by Bird et al, 2005 and Archibald et al 2005 showing that animals prefer the newer burn years due to the newer more palatable grass. It was to be expected that 2010 would have the next highest diversity as after having a year to rest while new pasture was grazed following it being burnt, it would have palatable grasses for grazers, however due to the limitation of the thicket in 2010 burn on transect 1 this could not be concluded. Certain species abundance in burn years differed with time of day. 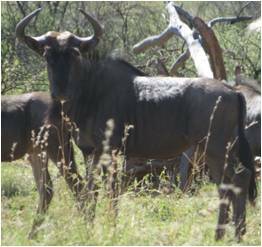 It can be noted that higher numbers of wildebeest and impala were found in 2012 burn in the morning and 2009 burn in the evenings. It can be argued that these animals eat the easier to digest more palatable grasses in the morning to beat competition and go on to eat the more lignified grasses in the evening when competition dies down and the gut is more metabolically active. During transect 1 and 2 the weather was warm and dry with minimal cloud cover, however transect 3 was overcast and cooler while transect 4 was after a night of heavy rain and was still very overcast. This may have affected the animals grazing strategies as the grass could have been more palatable while it was wet. During transect 3 more spotters were on the vehicle which means that animals that may not have been normally spotted could have been counted. Also transect 1 and 2 had a different member of staff and driver present to transect 3 and 4. 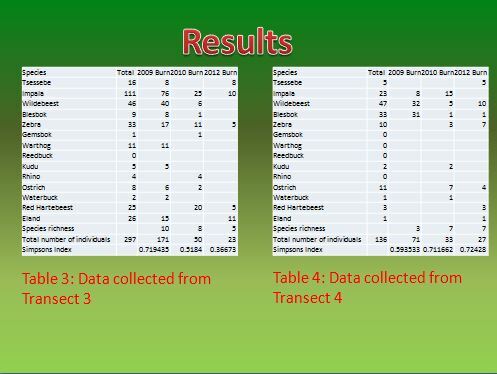 A total of 252 animals were seen on transect 1 and 2 whereas a total of 413 animals were seen on transect 3 and 4. This could be down to the difference in driving speeds, transect routes, spotters present or weather change. In conclusion, burning is an essential method to small game reserves as a way of controlling dead, undesirable plant material within the reserve. It is important as it increases the quality of the veld and improves the digestibility of the grass to species such as zebra, wildebeest, impala and warthog. Good veld management will help increase the carrying capacity by better improving nutrition and reducing overgrazing. 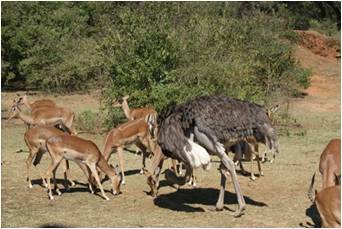 Measuring carrying capacity is imperative as it ensures the reserve is not keeping animals at the detriment to the habitat. Time of day does have an effect on species diversity within different burn years, with the morning having the highest diversity. It can be argued that this is down to competition between species for the more palatable grasses as the newest burn was also the most diverse. George is off again in just over a weeks to the Seychelles and Aldabra/Assumption to work on a conservation project for a year. We will post on the outline of this project soon. We have our June offers from our supplier Best Pets in store. These prices beat supermarket prices (where you can get these products in supermarkets). We will endeavour to keep these items in stock but they often sell through quickly. The offers are on for the entire month, so if we run out we will get more stock in, if our supplier still has some. CLICK BELOW for the offers. 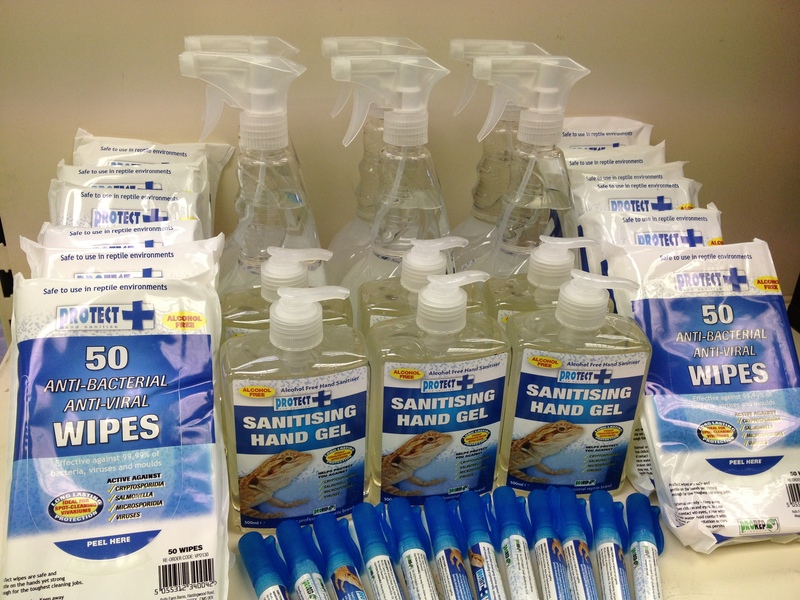 ProTect reptile cleansing products are one of the best ranges of products on the market for disinfecting reptile enclosures, equipment and hands. Reptiles (like all animals) can carry disease causing organisms (bacteria, viruses and other pathogenic organisms like cryptosporidium). Good hygiene is essential to keep you and your family safe.As said all animals can carry most of these organisms (remember the fuss over salmonella in poultry in the 1980’s) but reptiles seem to draw all the negative attention. A good regime and good quality product will ensure they do not pose a risk to human health. A lot of cleaning products on the market however are not safe to use with reptiles. Phenolic compounds are toxic and can kill the animal. Some specialist reptile products only kill a limited range of pathogenic organisms. ProTect products are effective against all the commonly carried bacteria, viruses and disease casing organisms, so protect against diseases such as salmonellosis, cryptosporidiosis, e-coli infection etc. We have the products on offer at 10% off all this week as an introduction to the range. As an added bonus you can get 20% off if you buy all four ProTect items in the range. So not only will you be keeping your reptile and family safe, you can be doing it at a nice discount too.